This website is a compilation of materials and resources from the conference including the paper presentations, panel discussions and deliberations by the conference participants. 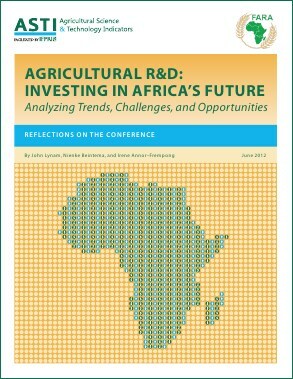 The commissioned conference papers have been published as an ASTI/IFPRI–FARA Working Paper series, a brief synopsis—Reflections on the Conference— is now available, and a book synthesizing both the conference outcomes and further analysis will be prepared for publication in 2013. Prof. Monty Jones, Executive Director of FARA.